Italjet - I Say Ding Dong Shop - Buy Stickers, Decals & Unique Automobilia. Agip 'Use Only Agip' Sticker. 70mm. Castrol 2 Stroke Cycle Motor Oil Circular Stickers. 2" Pair. 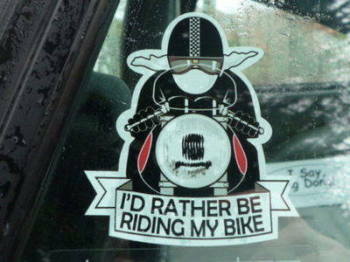 I'd Rather Be Riding My Bike Sticker. 3". 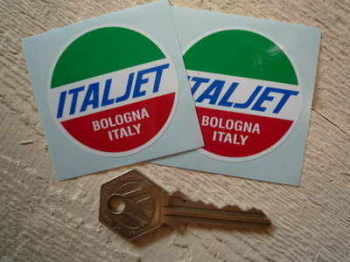 Italjet Bologna Italy Round Stickers. 2" Pair. Italjet Cut Vinyl 4" Text & 15" Stripes Stickers. Set of 4. Italjet Cut Vinyl Text Stickers. 4" Pair. 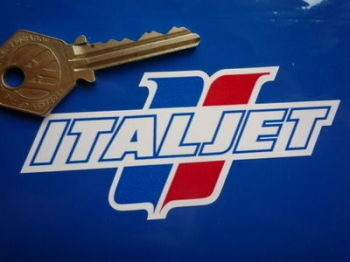 Italjet Engine Case Stickers. 63mm Handed Pair. 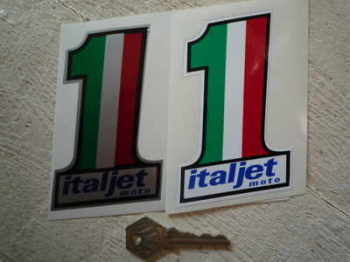 Italjet Engine Case Stickers. 63mm Non-Handed Pair. Italjet F.B. Minarelli Black &hite Oval Sticker. 2.5". 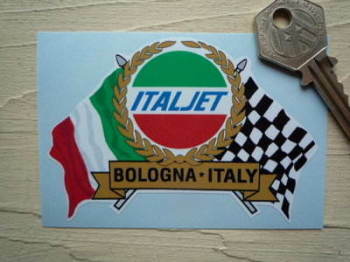 Italjet Flag & Scroll Sticker. 3.75". Italjet Moto Splat Stickers. 4" Pair.